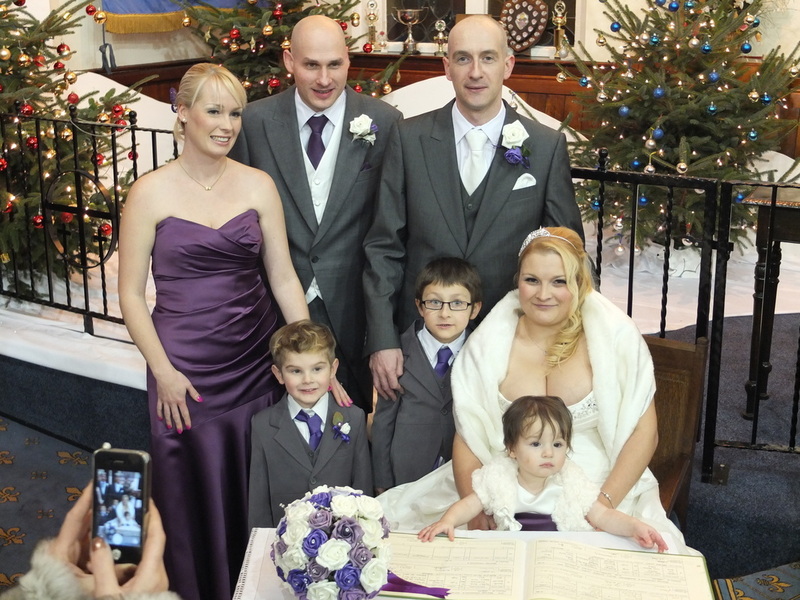 Matthew Ditchfield and Melanie Hill celebrated their marriage here at Hillsborough Trinity. They shared the ceremony with their two children, Timothy who was a page boy, and Jessie who was a flower girl, to whom they made special promises during the service. The photo shows the happy family with the best man, Andrew Freebre, the Matron of Honour, Rachel Slatter, and Luca, the second page boy.